The first printing press was invented by Johann Gutenberg in 1450. Early presses were made from wood rather than metal and inking was done by hand with inking balls. When the first metal press did emerge, the rollers were made from glue and molasses. Although the first press was invented in the fifteenth century, North America did not receive its first press until 1638. The presses that were brought over to the British North American colonies were easy to ship because they were made from wood. Unfortunately, the wooden presses that were brought to the colonies were rather slow and required two men or women to operate. As a result, many master printers hired an apprentice, also known as a devil. The apprentice was required to sign an agreement stating that he or she would abide by the guidelines set forth by the printer. Examples of popular guidelines were: he/she was not allowed to waste his/her master’s goods, get married, play cards or dice, or visit ale-houses or taverns. Apprentices were involved in almost every step of the printing process, from setting type to cutting the final product. Women were preferred as typesetters because they were very good at it and were a cheap source of labor. The type was placed backward into a metal frame called a chase, which was then placed in the front of the press. The rollers rolled over the ink plate, picking up the ink, and then rolled over the type, covering them with ink. Then the paper rolled up and was pressed against the type, leaving an impression of the type on the paper. Early printers in the colonies had several complications to deal with, one of which was the availability of resources. Before the colonies began to produce their own type, printers had to order sets of types in six or seven different fonts from Caston in London, England. This made the printing process very expensive. Besides not being able to buy type locally, they also could not get their paper locally. Paper had to be imported from Pennsylvania, at a substantial cost. Nova Scotia did not start producing its own paper until 1819, when a paper mill was established in Bedford, Nova Scotia. Printing was not only costly, but dangerous to one’s health. Printers were generally not expected to live long as a result of their poor work environment. 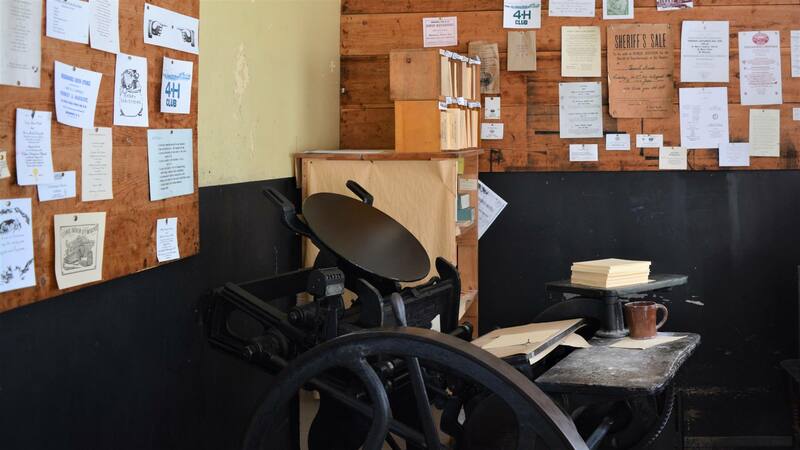 A printer’s shop would often be covered in the lye used to clean ink from the type. In addition to the lye, they also worked under poor lighting conditions and handled type that was made from lead, which is harmful to one’s health. Regardless of the expense and danger, printing shops began emerging in most communities. The first newspaper in Canada, the Halifax Gazette, was established on March 23, 1752. Smaller print shops made most of their money from printing gazettes, almanacs, and directories. 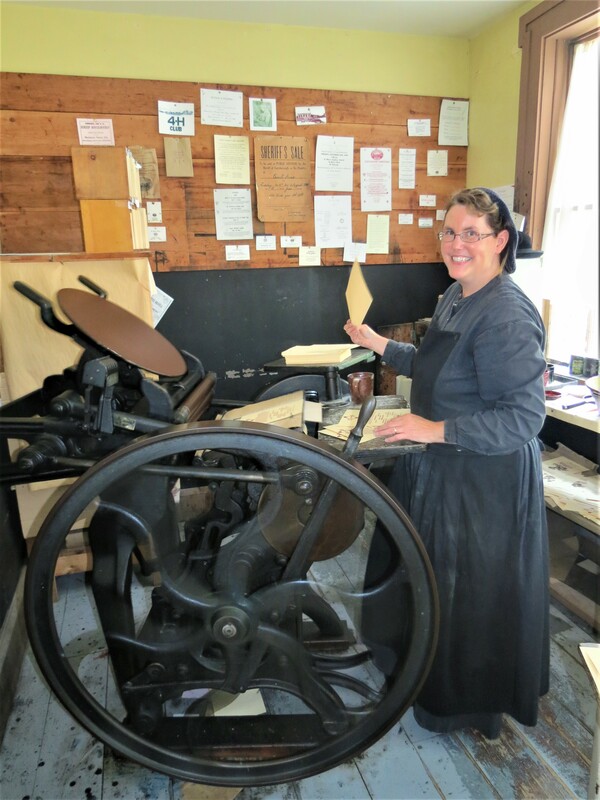 The Print Shop in Sherbrooke Village continues to keep the traditional way of printing alive by having a 123-year-old operating printing press on site. 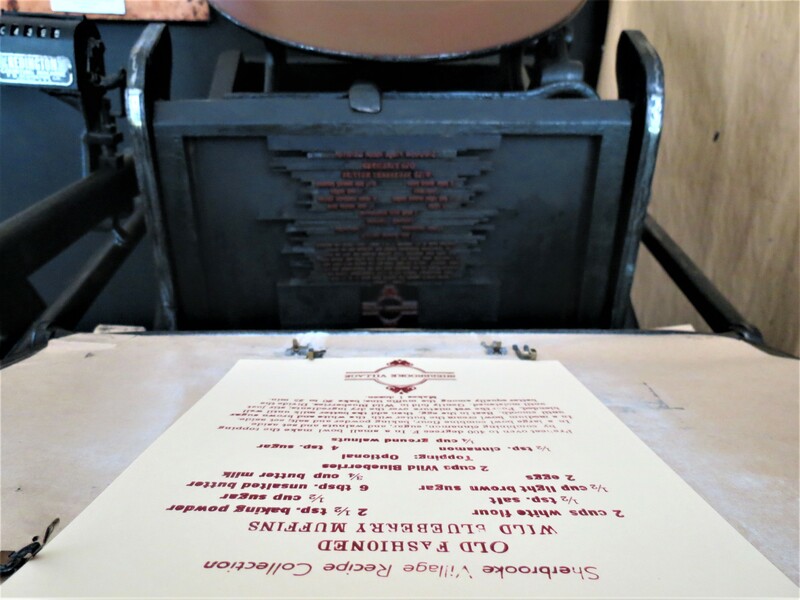 The Print Shop also holds several different kinds of type that our printers still use when printing such things as wedding invitations, Courthouse Concert tickets, and recipe cards.